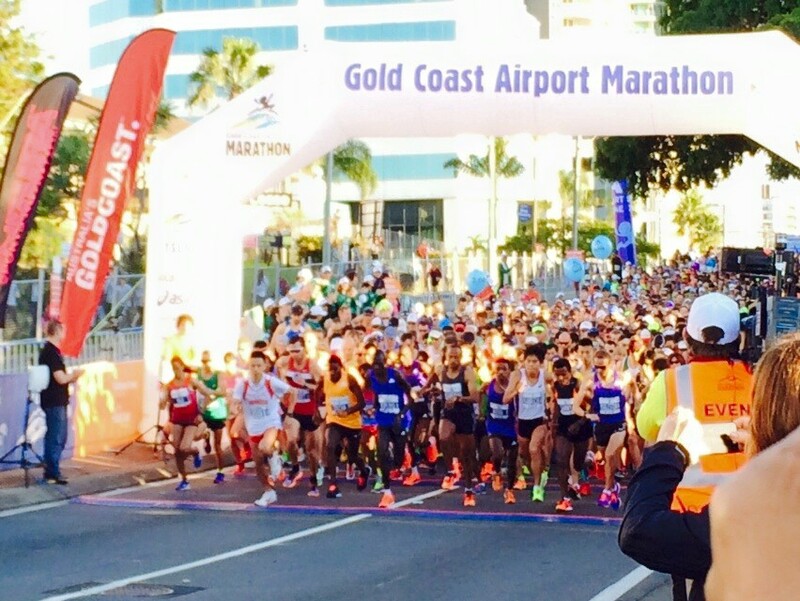 Race Review: Gold Coast Airport Marathon 2015 (by Zhiyong) | JustRunLah! Took Scoot night flight 2 days before race. 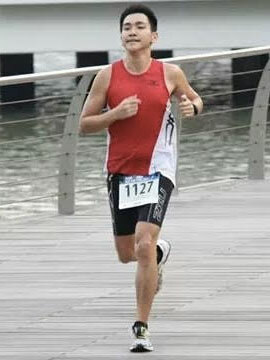 Arrive Gold Coast on the morning 1 day before race. 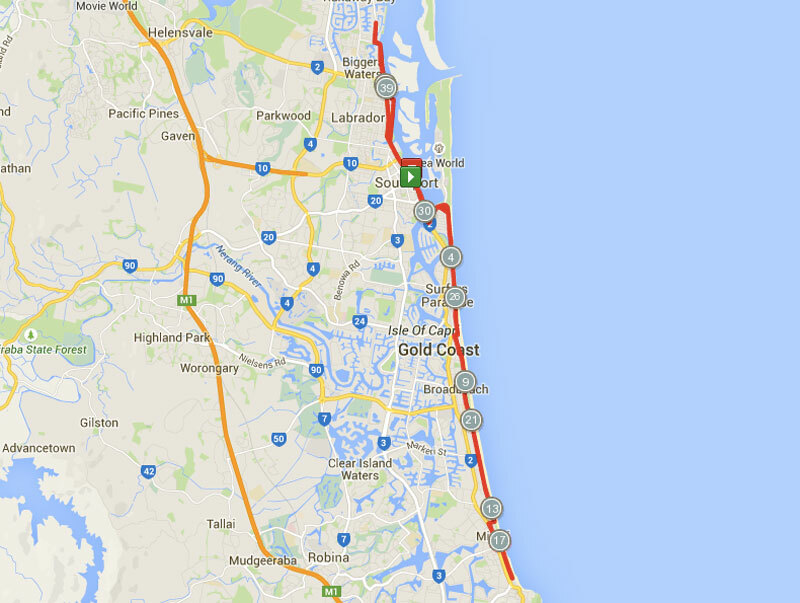 Proceed to Race expo, which is along the way to most common accommodation options (Surfers paradise: 4.5km from start point or Main Beach: 2.5km from start point). Carbo load at restaurants located around Surfers paradise (advance reservation required as the popular restaurants are flooded with runners participating in the race. Race expo was located conveniently at Gold Coast Convention and Exhibition Centre. Well organised with essential booths to meet running gear, accessories and nutrition needs. There are also booths for phototaking with your friends. Booth to deposit race supplements/drinks to be placed along designated water stations according to individuals’ requirements. Full marathon starts at 7.20am. Drive to and arrive at Australia Fair Shopping Centre near the start point (about 200m) at about 6.20am. Smooth traffic and ample parking spaces at Shopping Centre. Warm up and stretching at closed road beside shopping centre. Start pen opens only about 20min before race start. Clearly marked signages guide you to the respective zones based on estimated race completion time during registration. Many portable toilets located near start pen. Sun rises about 6.15am. About 10 – 12 degrees Celsius during arrival at start point. Muscles do not warm up so fast. Sun gets glaring at about 8am. Sunglasses and sunscreen recommended. Temperature increases to about 16 degrees Celsius. Heat from sun bearable but some sweating to be expected. Residents staying along race course cheering by their houses. Supporters located along most part of routes, with some musicians playing music and cheerleaders at sides of route. Large names on race bibs allowed supporters to shout for your names. Expect many hi-5s from kids to the elderly supporters. Some up-slopes but more downs and flat. Water points very well organised. With alternate stations providing sports drinks. Personalised deposited items located at water stations may take up some time to be retrieved by the volunteers. BIO: Planning running routes may be a chore if you have nothing to start with. I would like to share running routes from various places which I have done so that everyone can have a glimpse of the route and easily adopt / amend based on own preferences. Click here for more post from Zhiyong.